My author in the Spotlight today is Alli Sinclair. Alli’s book Under the Spanish Stars (published 6th December) is another of those that sadly I haven’t managed to fit in but I’m so pleased she has agreed to tell me a bit more about herself and her writing. You’ll find lots of buying links at the bottom of this post. Thanks for joining me Alli. First of all, would you tell me a little about yourself? I do believe I was born with a passport in my hand as I’ve always been fascinated by other cultures and history. The second I had enough money and was old enough to travel solo, I took off travelling and never looked back. To fund my travels, I’ve worked in in Irish bar in Peru, a travel guide throughout South America, and a mountain climbing guide in the Andes. I’ve been lucky enough to scale some of the world’s highest mountains and immerse myself in an array of exotic destinations, cultures, and languages. I’ve lived in Argentina, Peru, and Canada, and I’m now back on Australian soil with my young family. These days I do more travelling from the armchair as I write stories set all over the world that take readers on a journey of discovery as they experience the thrill and romance of exploring a new destination and culture or relive ones they are fond of. I was always writing stories when I was a child but during my teen years and my twenties I was too busy being social and travelling the world. It wasn’t until my early thirties, when I was being interviewed on the radio about my travels, that the seed of writing fiction was planted. After the interview, the journalist said that I had so many great stories I should consider writing a book. I was surprised at his suggestion because it never occurred to me to do such a thing. I saw a travel writing competition and entered and to my surprise, I won and it was such a buzz seeing my name in print I pursued the idea of writing fiction. That’s when I discovered a love for writing and so I enrolled in a creative writing course and my real writing journey began. Under the Spanish Stars is set in picturesque Granada in southern Spain and is a story that delves into decades old family secrets that takes readers into the world of flamenco and gypsy culture. There is a mystery, espionage, family saga, as well as romance and adventure. Under the Spanish Stars is for anyone who enjoys escaping to far off lands and being immersed in another world. I wish it was me who had come up with the title as I love it! The working title was Flamenco Fire, but the clever team at my publisher thought we needed something with a bit more pizazz. They workshopped over 70 titles and still couldn’t find the right one, then the marketing manager walked in and said “What about Under the Spanish Stars?” and everyone knew in that moment they’d found the right title! As much as I’d like to say that I’ll be lunching and drinking champagne with friends I’ll more than likely be trying to tie up the loose ends for the year so I can take a break in January! It’s our summer (I’m in Australia) so I’m hoping January will be a good chance to recharge the batteries before the kids go back to school in February and I begin my new projects. I’m in the luxurious position of being a year ahead of schedule right now so I am working on a book that is likely to come out in 2019 and also developing a brand new series for young readers. It’s rather exciting to be trying out a new genre and I’m really enjoying the challenge. That’s one thing I love about being a writer—it’s never boring! Gah! Picking even three favourite books is difficult but I will narrow it down, I promise! Recently, I’ve read The Dressmaker by Rosalie Hamm (it was made into a movie with Kate Winslet and the book and the movie were both brilliant! ); I’ve reread A Suitable Boy by Vikram Seth (it’s a very long book but I love it so much and I pick up new things every time I read it); and Bluegrass Bend by Mandy Magro. Mandy writes Rural Romance which is super popular in Australia and I’m hoping it spreads and the rest of the world gets to immerse themselves in this lovely genre. I’ve just started reading The Three Miss Allens by Australian author Victoria Purman (released November 2016). She normally writes coastal romances and this is her first foray into historical fiction and she’s absolutely nailed it. I’m really loving the story and characters and I’m looking forward to delving into as soon as I get a chance! No fair! This has taken me ages to come up with an answer as I keep changing my mind! 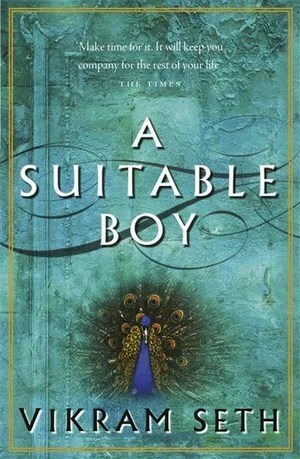 Right in this second I would take A Suitable Boy by Vikram Seth purely because it’s 1200 pages long, has a large cast of characters and a story that spans decades so it should keep me busy for a while and it’s a book I love to read over and over again. 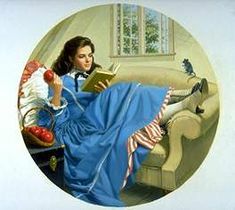 When I was a kid, all I ever wanted to be was Jo March from Little Women. I loved her strong sense of self, her ability to dust herself off from her failures, and her unwavering love for family. Jo also loves books so I could relate to this as I always head my head in a book as a kid (not much has changed, though!). I think Jo’s character transcends time and even today, children can still relate to the feisty Jo March.